The autism lanyard is available from police. 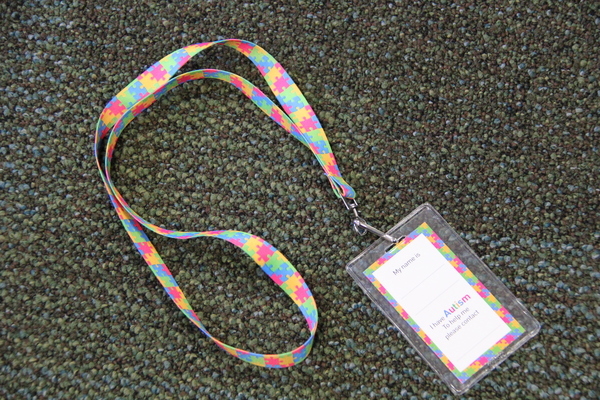 A colourful new lanyard is helping people with autism to better communicate. Yarra Ranges police are distributing the jigsaw-patterned lanyards with an information card, free of charge. It can help people on the autism spectrum to alert others to their needs, likes and dislikes. Leading Senior Constable Linda Hancock said the idea came from the Chinese community in Box Hill, which implemented a similar project. She said the lanyard was an optional identifier, like a medical alert bracelet. “It can be displayed, or tucked away with the person referring to it in times of need,” she said. The jigsaw is the international logo for autism. Wantirna mum Elizabeth Curran has worked with Lead Sen Const Hancock. She has two sons with autism, now aged 25 and 26. She said the lanyard was about helping other people to realise they’re on the spectrum in a discreet way. “Children with autism, there’s nothing recognisable,” Ms Curran said. “I think it’s going to help to really complement a lot of the work that’s been going on for a long time. “This is a link to help them communicate. She said the lanyards would be of particular help on public transport, and in instances where authorities requested identification. “The beauty now is there are so many people wearing lanyards,” she said. “There’s nothing highly unusual about the lanyard. “People in authority will start to learn to recognise that’s what the symbol is. “Sometimes their behaviour in the public can be very challenging or disruptive. The lanyards can help not only police, but other parents. Ms Curran has offered to help parents experiencing a meltdown from a child on the spectrum. “Autism is always about a communication issue,” she said. 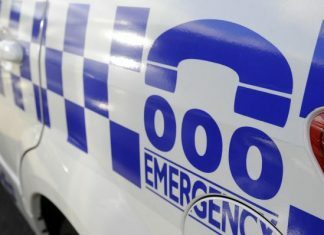 To obtain a lanyard, call Leading Senior Constabl Lisa Brooks on 9739 2385 or Lead Sen Const Linda Hancock on 9739 2386, or email lisa.brooks@police.vic.gov.au or linda.hancock@police.vic.gov.au.